Be confident and bold in your competency-based learning design. Join our conversation on July 31st at 1:00 to take a look at our CBE Learning Design Primer. We'll discuss how you could use this “paint-by-numbers” guide to easily create a curriculum that's a personalized, competency-based picture of learning. Adolescence is a time of powerful change, as teens try on different identities and imagine possible futures. Educators have the opportunity to provide long-term benefits by supporting healthy identity formation. In this webinar we'll look at the "Why" behind developmental Personalized Learning Plans and look at simple, effective PLP strategies you can use to build agency, self-direction, and psychological well-being. This free, 6-part webinar series showcases strategies that pioneers around the country are employing to implement competency-based, learner-centered culture and practice. The series kicks off on June 12, at 3:00 EST hosted by Josie Jordan, K-12 educator, innovation coach, and co-creator of the LiFT learning platform. Join Big Picture Learning and the SchoolHack team to hear how educators are designing competency-based systems that sustain authentic learning. BPL principal Julia Bamba, from Gibson Ek in WA, and SchoolHack founder Josie Jordan will share lessons learned and practical strategies about mastery-based progressions, formative and summative assessment cycles, progress tracking, and authentic bodies of evidence. You will come away from this webinar with a better understanding of potential challenges and solutions to keep in mind as you implement or manage learner-centered CBE. Participants will spend time using a method called the Flower Process which provides a creative, fun and meaningful way to connect with others, reflect on who you are and who you want to be. Afterward, each person will walk away with instructions they can use to facilitate the process with any age group. Presenter Bio: Liam Corcoran is obsessed with learning and creativity. Having experienced a variety of alternative and traditional learning models as a student has inspired him to pursue educational design and facilitation. 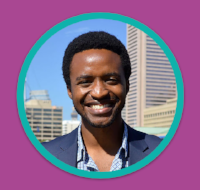 He currently works for the self-directed learning ed-tech platform SchoolHack Solutions training practitioners all around the country while continuing his relationship and empowerment work with his local community. Josie Jordan, PL Educator and SchoolHack President, will be presenting "If you build it, they will come: Culture and Personalized Learning" at the New England League of Middle Schools annual Conference in Providence, RI April 4-6th, 2018. Program description: When shifting curriculum and instruction to be personalized, the classroom culture becomes essential. How can day-to-day routines build learner agency? Come practice strategies to create a learning culture that shifts the environment from teacher-centric to learner-centric. Leave ready to take steps toward a culture that fosters and sustains personalized learning. Josie Jordan, PL Educator and SchoolHack President, Kathleen McClaskey, Founder of Make Learning Personal, and Steve Normark, Founder of Learning Community Insight LLC will be presenting "Who's Got the Remote? Makin' Learner Agency Real" at the annual SXSW EDU® Conference & Festival in Austin, TX March 6th, 2018. Program description: As curriculum, instruction, and assessment shifts to be competency-based and personalized, learner agency emerges as a necessity, how can we both hand over the remote, and help learners select the proper channels for their unique strengths and challenges? Or help learners push up the volume of their engagement and motivation? Experience how Universal Design for Learning (UDL) could be the remote that empowers learners to direct the what, how, and why of their learning. Josie Jordan, PL Educator and SchoolHack President, and Kathleen McClaskey, Founder of Make Learning Personal, will be presenting "Building a Culture: Your Foundation for Personalized and CB Instruction" at the annual Christa McAuliffe Technology Conference in Manchester, NH November 29th. The session includes details on shifting curriculum, instruction and assessment to be personalized and competency-based and how day-to-day routines build learning agency. The workshop will include proven strategies and techniques that create a learning culture that values every learner, harnesses the power of learner agency, and shifts the environment from teacher-centric to learner-centric. The session will allow participants to leave with first steps toward a culture that can foster and sustain personalized learning. Josie Jordan, SchoolHack's President and PL Educator and Gabrielle Lumbra, Franklin Northeast SU's Teacher Leader, presented at iNACOL's annual symposium last week in Orlando, FL. The symposium, attended by thousands of personalized learning educators, administrators and policy professionals from North America, was themed Personalizing Learning: Equity, Access, Quality. Their session- "What it Takes to Transition to Competency Education" focused on a range of common challenges faced by schools during transitions to personalized, competency-based learning, including: educator buy-in, redesigning content curriculum in a competency framework, defining competency, establishing benchmarks, accommodating self-paced learning and strategies to communicate redesign. With years of experience in competency-based education and pioneering student-centered practices, Josie and Gabrielle gave educators systematic and strategic methods for shifting their schools and classrooms to a competency framework. Featured resources from the symposium can be found here. Franklin Northeast Supervisory Union- comprised of five elementary schools, two middle schools, two high schools and a career center- has implemented LiFT for its students in a shift towards true Personalized Learning including assesment and reporting. According to Jody Vaillancourt, Co-Director of Instruction and Learning for the district, "We are using LiFT to hold a record of our students' learning journey from middle school, through high school, and to graduation. It allows us to truly embrace the Flexible Pathways promise of Act 77 in a concrete and meaningful way. The fact that LiFT connects a student's PLP and proficiency verification allows both to work together in tandem to shape and support a truly personal learning experience. We are also using LiFT to track student progress toward proficiency, which has solved many of the issues related to grades that we were struggling with in prior years. Having the reporting tools in LiFT gives us a powerful base for a comprehensive, holistic reporting system. Our high schools are transforming from a system that was tied to extrinsic motivation to one where students are truly self-directed in their learning. Students are able to use LiFT to more effectively self-evaluate their progress toward clear learning goals. The workflow cycle between teachers and student creates expert, reflective learners who will be ready for the challenges of career, college, and life beyond high school." "Our community-based schools educate all of our children including immigrants, people of color, the disabled, the homeless, English language learners, people of all faiths, and the LGBTQ community. We aspire to be great neighborhood schools of choice for the families we serve, and to remember that the wide-ranging needs of our students and their families are inseparably related to student achievement in school." You can read more about the district's effort to move to competency-based learning here. The SchoolHack team will meet with a number of Vermont educators at the Lake Morey Resort , in Fairlee, VT at an expo put on by the Vermont Agency of Education for various vendors of Personalized Learning Plan (PLP) platforms. We will be discussing and presenting our LiFT platform, originally created for Vermont schools and now in use by over 10,000 students and teachers throughout the United States. LiFT is a proficiency-based learning system that integrates PLP’s, project-based learning, evidence collection, formative feedback, and proficiency-based progress monitoring. We look forward to sharing these LiFT features and more with the Vermont Education Community. "We were looking for a student-friendly solution that would give students more ownership of their learning. LiFT allows us to easily give students that ownership. They are quickly able to create, add, and submit their projects for advisor feedback and review. We liked how LiFT puts students at the center, that the student experience is the most important. Last year, we used another technology platform, and it had so many obstacles for our kids. Some of our kids just shut down. They weren’t able to use the system through which they needed to submit their work so they gave up and as a result, they couldn’t get credit for their work. However with LiFT, we’ve seen that right away the kids are able to get into exploring their interests and careers. They rapidly get the hang of the platform and navigate it with ease. After their first introduction to LiFT, our kids loved it. The student training was so easy for them! They ran straight from the training and the very next day were able to move through the entire project process. I don’t mean to say LiFT is a simple product; it’s far more complex than that but, it really is simple for kids to get the hang of LiFT right away." 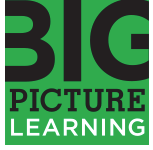 Big Picture Learning Schools operate across the country and believe that “In the schools that Big Picture Learning envisioned, students would be at the center their own education. They would spend considerable time in the community under the tutelage of mentors and they would not be evaluated solely on the basis of standardized tests. Instead, students would be assessed on exhibitions and demonstrations of achievement, on motivation, and on the habits of mind, hand, and heart–reflecting the real world evaluations and assessments that all of us face in our everyday lives. “ We are honored to be working with an organization like Big Picture who is dedicated to the true idea of personalized and student-centered education. Matignon High School is a co-educational, independent Catholic high school serving a diverse student population dedicated to educating the whole person spiritually, academically, and socially so as to inspire compassionate and confident advocates for the greater good. We are excited to work with Matignon as they look to provide diverse learners with achievable standards to cultivate reflective practices so students can focus and show evidence of their learning. By implementing the use of LiFT with the class of 2021, Matignon is looking to engage students in and outside of the classroom by forming a learning experience that puts the student at the center of his/her education, opening up a dialogue between students, teachers and administrators, and creating opportunities for further exploration outside the walls of the school. Matignon feels that by incorporating LiFT , "we will come to know our students more personally in order to help them achieve their spiritual, academic and social goals and will be promoting academic excellence as students become goal setters, reflective learners, and active participants in the community." SchoolHack's Community and Support Specialist Liam Corcoran will be one of the presenters at the Alternative Education Resource Organization Conference: If Learner-Centered Education Is the Answer......What Is The Question? August 2-6, 2017 at Long Island University in Brockville, Long Island. His session entitled Amplifying Difference to Create Connections: Encouraging Individuality as a way to Build Community will focus on ways for students to connect with one another, discover commonalities and express their individuality. His session is designed to help educators to find the sweet spot in their classrooms between individualism and community that allows for engagement, collaboration and growth for all involved. In connection with the Building Learning Communities Conference, LearnLaunch Institute will host a showcase that will feature over 30 companies, including SchoolHack Solutions and other companies from the broader Boston education community. There will be pitches, demos, opportunities to play with and give feedback on our LiFT personalized learning platform, and a chance for educators to stand alongside others who care about ed innovation at this fun and inspiring reception in Boston's Innovation District. Contact us for more details or follow this link to sign up. For the 2017-18 school year, CVU will also begin to use LiFT in some of its advisory classrooms to manage the Personalized Learning Plan (PLP) process. Many schools are using LiFT as an advisory tool to help their students discover and develop greater self-awareness, self- confidence and critical life skills. As personalized learning is adopted by educators and administrators in districts throughout the country, SchoolHack is excited to continue to work with innovative schools like CVU- right here in Vermont. SchoolHack Solutions will be exhibiting in the Start-Up Pavilion at #ISTE17 in San Antonio, TX later this month. As a LearnLaunch selected Ed Tech company, SchoolHack will be connecting with other innovative educators, thought leaders and education companies at the world’s most comprehensive ed tech meeting of the minds. We will be sharing our LiFT software platform currently being used by thousands of students in middle grades and high schools around the country. Stop by to see us there or contact us to schedule a time to meet with our product director, Thierry Uwilingiyimana, at the show. We look forward to seeing you! SchoolHack Solution will be attending the National Charter School Conference this month - a learning and networking event for charter school educators, leaders and advocates. Over 4,500 attendees will share vision, practice and tools for improving educational practices in the more than 6,000 charter schools throughout the U.S. Contact Thierry Uwilingiyimana thierry@schoolhack.io to meet up with us at the conference! We are pleased to announce the launch of a partnership with the Tennessee Department of Education to improve college and career readiness for Tennessee students. The department’s college and career readiness work aims to improve and integrate existing information systems to empower Tennessee students, parents, and educators to make well-informed and timely decisions based on current, relevant information drawn from K-12, postsecondary, and workforce data. As part of a $7 million grant from the Institute of Education Sciences (IES), TDOE will offer pre-selected pilot districts the opportunity to implement SchoolHack's LiFT™ software platform. LiFT allows students and educators to create flexible learning pathways connected to the unique interests and aspirations of every learner. “We applaud TDOE's leadership and vision in the decision to bring this innovative, personalized approach to their college and career readiness initiative," says David Lipkin, CEO and co-founder of SchoolHack Solutions. LiFT, designed by educators with years of experience designing learner-centered systems, helps students create meaningful and motivating personalized learning plans. Students will use LiFT to identify their unique interests, skills, and strengths and match them with the most appropriate post-secondary resources, opportunities, and supports available. Ongoing progress monitoring of LiFT data will help educators, counselors, and the TDOE continuously improve their college and career readiness programs to meet the needs of every student. The TDOE’s work to promote college and career readiness for all students is part of the Drive to 55, Tennessee Gov. Bill Haslam’s initiative for 55 percent of Tennesseans to be equipped with a college degree or certificate by the year 2025. Tennessee has implemented a series of nationally recognized initiatives aimed at helping students transition from high school graduation to postsecondary education. These efforts include providing financial support and mentorship through Tennessee Promise; sharing more guidance with students through AdviseTN; offering more early postsecondary opportunities and increasing the spotlight on students’ access to them through a new school-level accountability framework; and hosting focus groups with high school students to hear firsthand about their experiences and then sharing this in a public report. Additionally, Tennessee was named recently as a recipient of the highly competitive $2 million New Skills for Youth grant designed to build on locally and regionally led efforts through the statewide Pathways Tennessee initiative, which works to strengthen and expand education-to-career learning pathways for Tennessee’s students. Following a highly competitive application process, SchoolHack Solutions is joining eight of the "hottest" edtech companies from around the world to focus on our innovative technologies in order to transform learning and increase achievement in schools both here and abroad. "LearnLaunch is dedicated to connecting, supporting, and growing the education technology ecosystem to drive innovation and transform learning. We are a vibrant community, delivering educational events, a selective accelerator program and a collaborative co-working space." Two personalized learning pioneers are joining forces to present some of their important work in personalized and proficiency-based learning. The presentation, entitled: Building a Culture: Your Foundation for Personalized and Competency-based Instruction will provide an interactive session for educators who are thinking about or have begun this educational shift in their schools. "As we shift curriculum, instruction, and assessment to be personalized learning and competency-based, the culture of the classroom becomes essential. How do our day-to-day routines build learner agency? During this interactive session, come practice proven strategies and techniques that create a learning culture that values every learner, harnesses the power of learner agency, and shifts the environment from teacher-centric to learner-centric. Participants will leave ready to take their first steps toward a culture that can foster and sustain personalized learning." See the full conference schedule here. SchoolHack Solutions is joining the Highlander Institute, the Christensen Institute, and the Learning Accelerator to meet with the best classroom, school, and district administrators from across the country at the 2017 Blended & Personalized Learning Conference. This conference brings together educators and educational leaders that are working to bring implementation of blended and personalized learning strategies to their schools and districts. We look forward to seeing our friends and colleagues and meeting new innovators in Providence! SchoolHack is excited to attend the School Redesign in Action Conference- the New England Secondary School Consortium’s eighth annual conference for educators and stakeholders from across the country. The conference is being hosted by the NESSC- a regional partnership that promotes forward-thinking innovations in the design and delivery of secondary education across New England. The five partner states—Connecticut, Maine, New Hampshire, Rhode Island, and Vermont—work together to close persistent achievement gaps and promote greater educational equity and opportunity for all students. to share success stories, exchange best practices, and continue to build momentum for innovations that will prepare all students for success in the colleges, careers, and communities of the 21st century. "A Statewide School Reform Gains Fans and Concerns While Letting Students Learn at Their Own Pace"
Read the story about Vermont students and schools focusing learning around student voice and choice while using LiFT to power their learning. Judy F. Carr is a senior consultant, facilitator, and instructional leadership coach with the Center for Curriculum Renewal LLC. She works with schools, districts, and statewide organizations to build systems to support high student performance through learner-centered, learning focused (e.g., competencies or standards and associated indicators) curriculum, instruction, and assessment design and implementation. Carr has extensive experience leading professional learning and working as a coach with administrators, teachers and teacher leaders in grades pre-K–12 . She was co-facilitator of Vermont’s first Framework of Standards and Learning Opportunities, and she has been an associate professor and scholar in residence in the Educational Leadership Program at the University of South Florida, Sarasota-Manatee. Carr was also formerly an Assistant Professor in the Secondary Education program at Trinity College of Vermont and a faculty member for ASCD, where she designed and facilitated national leadership institutes and created online courses and webinars for school administrators, teacher leaders, and district leaders. In 1995, she was recipient of the Second Annual Vermont ASCD Outstanding Curriculum Leadership Award. Carr’s has long been committed to the three core elements on which LiFT is constructed – learner voice and choice, building on interests, and personalized and relevant curriculum. This includes collaborative work to design truly integrated, community-based studies and co-construction of curriculum based on defined learning expectations AND learner strengths, interests, and needs. She has worked with Reggio-Emilia inspired schools, two-person partner teams in the middle grades, and integrated high school ninth-grade “transition” programs, as well as with a variety of types of K-12 programs in small and large school districts. She works with teachers, school administrators and district leaders to build capacity for successful implementation by creating protocols, tools, and templates for district-wide design of curriculum, instruction and assessment; conducting curriculum reviews and supporting curriculum development; facilitating summer Leadership Institutes for school-based implementation teams and district leaders to plan strategic actions to bring learning expectations, personalized and engaged student learning and data-informed instruction to routine use in all classrooms. Carr has extensive experience conducting professional development through small and large-group facilitation, workshops and webinars for principals, teachers and teacher leaders, leadership seminars, and both individual and small-group virtual or on-site coaching with school and district administrators. Carr is coauthor or coeditor of the following books and online courses: Leading Professional Learning: Building Capacity Through Teacher Leaders (ASCD, 2013); Leadership: Implementing the Common Core State Standards (ASCD, 2012) Leading for Inclusion (Teachers College Press, 2011); Improving Standards-Based Learning: A Process Guide for Educational Leaders (Corwin Press, 2009); Teaching and Leading from the Inside Out (Corwin Press, 2008); “A Pig Don’t Get Fatter The More You Weigh It:” Classroom Assessment That Works (Teachers College Press, 2007); Creating Dynamic Schools Through Mentoring, Coaching, and Collaboration (ASCD, 2005); Succeeding With Standards: Linking Curriculum, Assessment, and Action Planning (ASCD, 2001); How to Use Standards in the Classroom (ASCD, 1996); and Integrated Studies in the Middle Grades: Dancing Through Walls (Teachers College Press, 1993). SchoolHack Solutions is excited to join Personalized Learning educators and leaders at the 2017 Mid-Atlantic Conference on Personalized Learning (MACPL) "Innovating Education For All Learners" in Baltimore, MD February 27-March 1, 2017. This conference is for those transforming education in the Mid-Atlantic and Northeast regions of the US. Featuring more than 90 dynamic and interactive sessions focused on personalizing learning for K-12 students, Vermont educator and Rowland Fellow Gabrielle Marquette from Enosburg Middle/High School will be presenting "What it Takes to Transition to Competency Ed" on how Franklin Northeast Supervisory Union in Vermont is creating true learner-centric systems in transitioning from Carnegie units to a competency-based graduation framework. Along with Thierry Uwilingiyimana, Gabrielle will be discussing a range of common challenges in the transition to personalized, competency-based learning including: educator buy-in, redesigning content curriculum in a competency framework, defining competency, establishing benchmarks, accommodating self-paced learning, and strategies to communicate redesign with community members and parents. Learn more about the session here. We are pleased to announce that Thierry Uwilingiyimana has joined our SchoolHack team as Product Director for the company. Thierry comes to SchoolHack as a former-founder and leader of two education startups. He co-founded ClassTracks, Inc. and worked with founders of Acton Academy to introduce to the area a progressive lower and upper elementary school built on Montessori principles. Born in Rwanda, Thierry and his family came to the United States seeking asylum from the war-torn country. Thierry studied at Stanford University with an undergraduate degree in Engineering. He spent several years in software development then received his MBA in Entrepreneurship at the Acton School of Business in Austin, TX. Since business school, Thierry’s work has entirely been and remains on meaningful integration and use of technology to realize the vision of student-centered and learner-driven environments. At SchoolHack, Thierry's focus is on product development and integration and he works closely with the SchoolHack management team in market and channel development. We are so proud of the students, educators and dedicated professionals who brought this vision to life and celebrate the amazing work of Vermont's Up For Learning organization! SchoolHack is excited to be attending the LearnLaunch Across Boundaries conference which brings together educators, education administrators, technology innovators and an entire community who is interested in driving innovation to transform learning and increase achievement using digital technologies. Join us in Boston on February 2-3, 2017! SchoolHack's David Lipkin will be joining this month's Pioneer Lab with Kathleen McClaskey, Personalized Learning expert and co-founder of Personalize Learning. Together, David and Kathleen will be working with national leaders to influence and help steer the learner-centered education movement. We are excited and honored to be part of this pioneering group of dedicated educational professionals working together in this tremendous shift in education throughout the US. "Big growth and a big vision are powering start-up educational software firm"
For founders Josie Jordan and David Lipkin, SchoolHack is far more than a business. The husband and wife team — a former educator and former school-based clinician — envisions their product as a means to revolutionize education. SchoolHack Solutions ed tech design story told by our partners at Green River in Brattleboro, VT. It's the story of how we put student-centered pedagogy into LiFT- step by step. SchoolHack Solutions is pleased to announce our recent partnership with the Cloud Institute for Sustainability Education and have curated their Education for Sustainability standards (EfS) for use within the LiFT personalized learning platform. These powerful learning targets can be used to weave the sustainability mindset seamlessly into content area rubrics and transferable skills. This joining of EfS with personalization and proficiencies is an essential means to accelerate student ownership, civic responsibility, and community engagement. Josie Jordan, President and co-founder of SchoolHack Solutions, will be attending the MassCue Fall Technology Conference in Foxboro, MA, October 19-20, 2016. MassCUE is co-sponsored by the Massachusetts Computer Using Educators (MassCUE) and the Massachusetts Association of School Superintendents (M.A.S.S.). Both organizations recognize the benefits of a collaborative partnership that focuses on the collective interests of the state's school districts. Josie will be joining educators from across the Commonwealth and New England to share SchoolHack's innovative LiFT personalized learning platform. Stop by the Learn/Launch Innovation Space and say hello! David Lipkin, founder and CEO of SchoolHack Solutions, will be at the iNACOL Blended and Online Learning Symposium October 25-28 in San Antonio, TX. David will be participating in professional sessions and is looking forward to meeting with educators, administrators and friends. He would love to meet with anyone interested in learning about SchoolHack and LiFT- the easy-to-use but powerful digital system that enables teachers and administrators to implement strategies that connect students to academic achievement and career readiness. Email david@schoolhack.io or call us at 888.502.LiFT to schedule some time with David in Texas. SchoolHack Solutions is honored to participate in the first Technology and Communications Roundtable discussion on September 22, 2016 at the Business Cluster Initiative in Brattleboro, VT. With recent State of Vermont Department of Labor funding, numerous education, business development institutions, and businesses fueling the economy of Windham County are working with the BDCC to support workforce and community development in the region. As part of this initiative, a new Workforce Development program will be launched this fall throughout all of Windham County’s public high schools entitled Fast Tracks to Success. This program provides local employers unparalleled access to the next generation of Vermont's best and brightest employees. LiFT salutes these efforts and looks forward to participating. SchoolHack Solutions is pleased to announce the appointment of Marvin Kendrick to the position of Client Services Manager for users of SchoolHack's LiFT Personalized Learning software. Marvin comes to SchoolHack with 12 years of experience at Green River of Brattleboro, Vermont in technical and user support management for web-based software. Marvin will work with schools to assist in their integration of the LiFT platform into classrooms and support technical aspects of the user experience. Marvin’s expertise with back end data, database management and custom data reporting will allow the company to provide important feedback to LiFT clients based on specific customer needs. Marvin's prior endeavors include commercial photography, 3 dimensional studio arts and the creation of fine gardens and stone walls in Southern Vermont and Southwestern Connecticut. He continues to take beautiful photographs and resides in Saxtons River with his wife and children. Liam Corcoran joins the SchoolHack team where he offers the student perspective, his personal experience with student centered learning and a background in human development and pedagogy. Liam entered a personalized learning program his senior year of high school and as a student of SchoolHack co-founder Josie Jordan, found a passion for learning and a desire to teach. Liam studied social entrepreneurship at Champlain College and developed a platform for personal and communal empowerment. A volunteer and member of the Community Advisory Committee at the Community Justice Center in Burlington, Liam brings his social and personal work to SchoolHack and will be assisting in the implementation of the LiFT platform to schools and organizations, helping the student voice be heard and connecting schools, learners and the outside community with one another. Liam is a lifelong Vermonter committed to empowering the local economy and environment, a passionate explorer of the outdoors as well as an artist. SchoolHack Solutions is pleased to announce the addition of Kevin Hytten, Ed.D. as Chief Operations Office to its Bristol, Vermont-based company. "Kevin brings a wide range of qualifications to his role as COO which will assist us in steering our organization as we continue to grow" says David Lipkin, CEO of SchoolHack Solutions. "His professional experience in executive leadership, technology and operations management is a perfect fit for our expanding needs and he will be in integral part of the management team." Dr. Hytten holds several advanced degrees in leadership, education, information technology and managing innovation. He has served as an administrator and educator in higher education at Syracuse University, the University of Vermont and Champlain College. Most recently, Dr. Hytten was the Chief Information and Operations Officer for a high tech virtual reality software company and a Senior Client Services Consultant in the healthcare industry. Dr. Hytten is a trained team building facilitator with over 20 years experience supervising and managing complex human resource and technology issues. As Chief Operations Officer at SchoolHack Solutions, Dr. Hytten will oversee a wide-range of SchoolHack initiatives on both the client and technology facing sides of the business. "Kevin has a unique capacity to understand the technological intricacies of our product platform while at the same time bringing managerial leadership skills to our workforce", says Lipkin. "We are very fortunate to have him as part of our executive team and look forward to his work with both our customers and our professional staff." Dr. Hytten lives in Shelburne, VT with his family and enjoys time with family, running, hiking, skiing, kayaking, Taekwon-Do, photography, movies, a house full of pets, driving with the top down, exploring innovative technologies, and tackling home improvement projects. SchoolHack Solutions is pleased to announce the addition of Gary Obermeyer to its team of education professionals developing and marketing LiFT™ - the company’s student-centered, personalized learning platform. Obermeyer’s perspective on education includes 16 years as a classroom teacher while also serving in a series of appointed and elected leadership positions at the local, state, and national level of the National Education Association (from 1980-86 as a member of the Executive Committee). Since 1986, he has worked as a school change consultant with Learning Options - engaged in designing, developing, and delivering online networking tools and strategies aimed at building capacity for students, teachers, and parents to co-create learner-centered and community-connected schools. “I am thrilled with the timing of this opportunity,” says Obermeyer, “the approach that SchoolHack has taken - putting the passions and interests of students at the center of the lesson planning process - is an essential starting point for personalized learning. I’ve explored many software platforms promoted as the answer to personalized, competency-based learning and have found LiFT to be in a class by itself, supporting whole systems. In particular, I can easily see how LiFT enables teachers and administrators to design/track professional learning goals and maintain portfolios for relicensure, reflection, and growth. Obermeyer lives in Portland, Oregon, and will work with the Schoolhack team to bring this exciting software to schools and organizations throughout the Northwest. Josie Jordan, Personalized Learning teacher and President of SchoolHack Solutions, recently appeared on WCAX-TV's the :30 segment to discuss the LiFT™ Personalized Learning software platform being used in schools throughout the state of Vermont and across the country. Watch the full segment here.